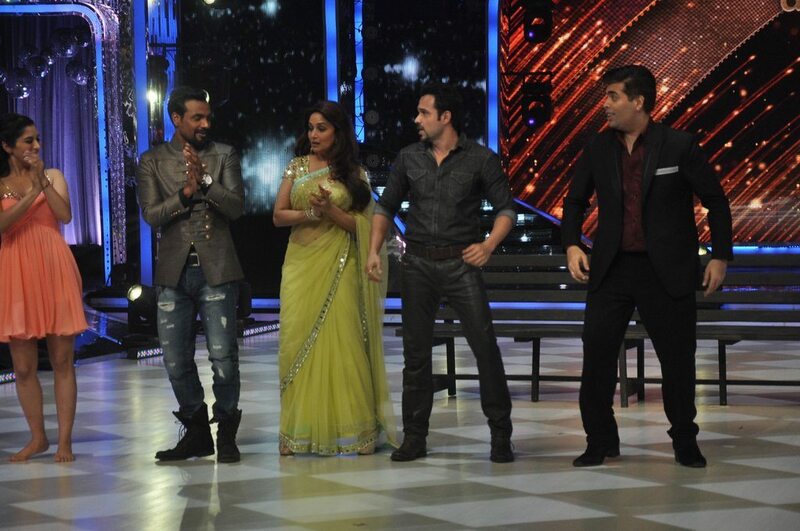 Raja Natwarlal promotions on the small screen, lead actors Emraan Hashmi and Humaima Malik on Jhalak Dikhhla Jaa. 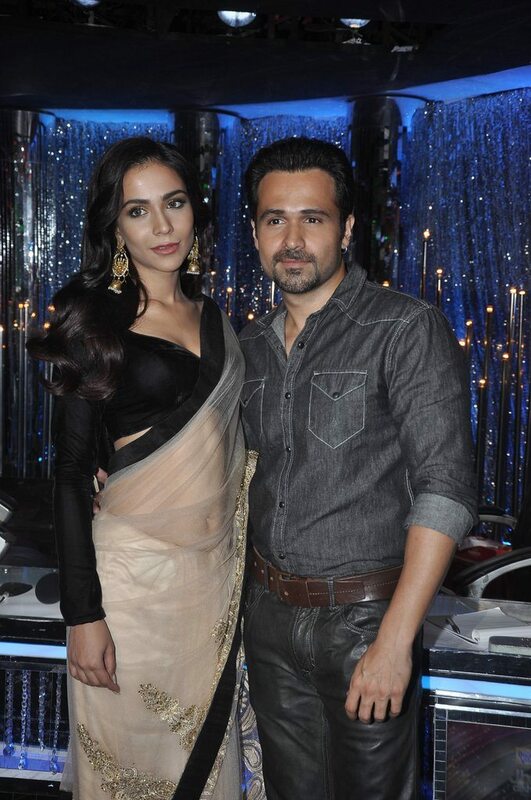 Bollywood actor Emraan Hashmi and Humaima Malik promoted their upcoming flick ‘Raja Natwarlal’ on the sets of ‘Jhalak Dikhhla Jaa’ in Mumbai on August 12, 2014. 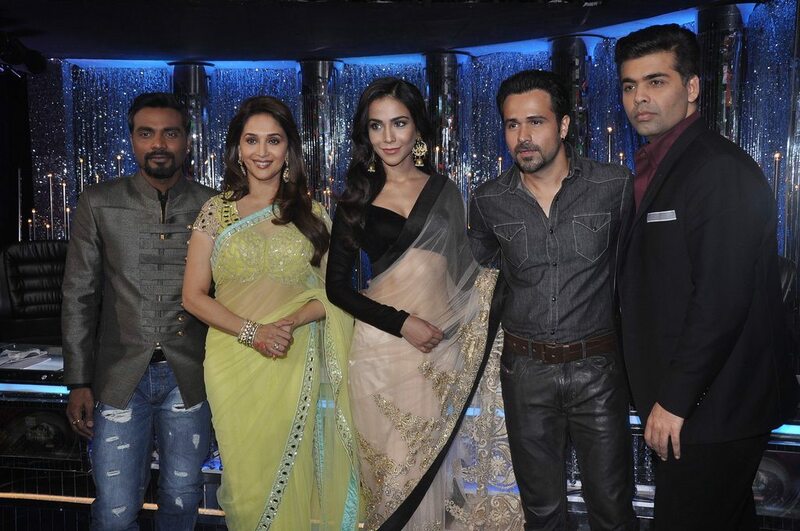 The event also had the judges of the show Remo D’souza, Madhuri Dixit and Karan Johar along with hosts Ranvir Shorey and Manish Paul. Emraan seemed to be in a sporting mood as he even shook a leg on stage with Bollywood’s eternal dhak dhak girl Madhuri Dixit. Pakistani actress Humaima Malick looked drop dead gorgeous in a gold and black sari, the exquisite chaand balis added that royal edge to her look. 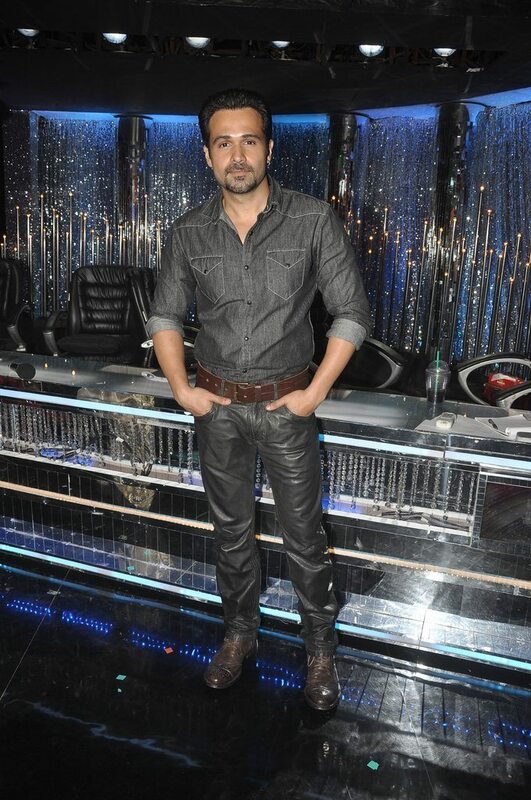 Emraan though stuck to a coventional greyish balck look. Raja Natwarlal revolves around the story of small-time scamster – played by Emraan – who eventually turns into a major con artist.